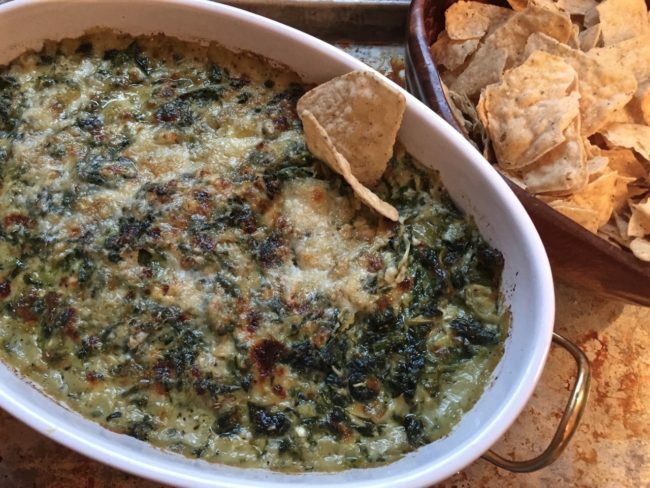 There are lots of really good spinach artichoke dip recipes out there. This one was given to me years ago and allegedly is the “secret” recipe of a famous steakhouse (although the restaurant was never divulged). 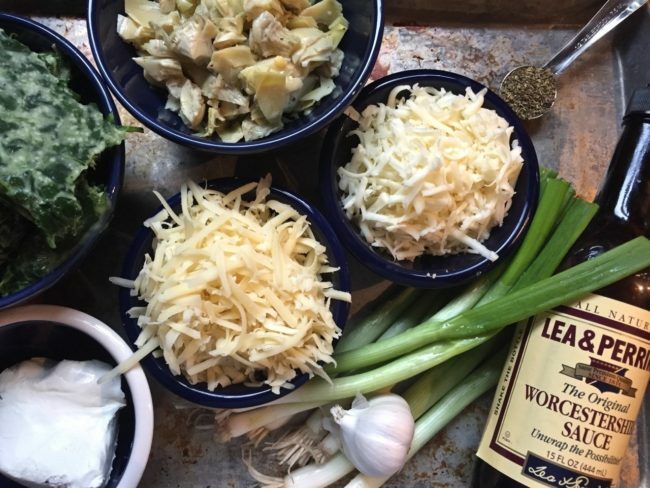 This recipe never fails and is a party favorite. For large parties, I double the recipe and serve it in a crock-pot to keep it warm. 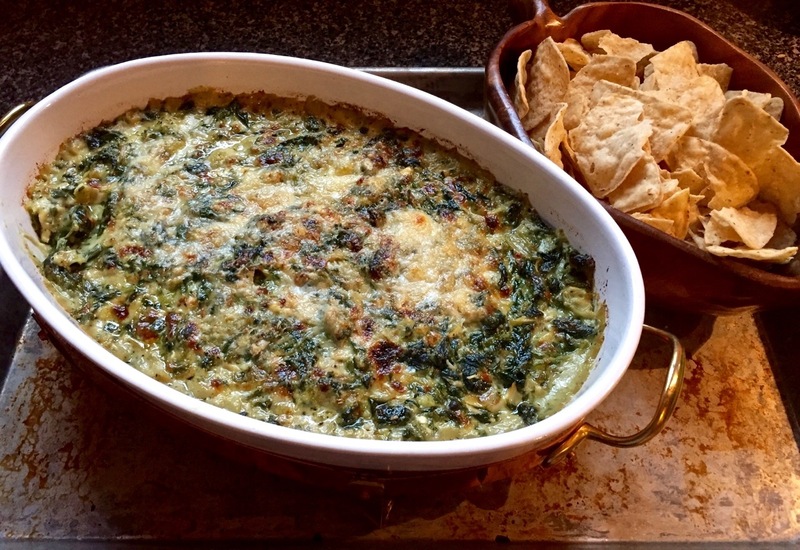 The best thing about this dip is it is made ahead of time to allow the flavors to meld and to free up the kitchen and you. Just bring it to room temperature before baking. And because there aren’t enough calories and deliciousness in this recipe, next time I am going to sauté the onions and garlic in pancetta. YUM! Tom and I have got to go on a diet…soon! In honor of Super Bowl Sunday, this dip is a touchdown! Melt the butter in large sauté pan and sauté green onions and garlic until softened. Season with whichever dried seasonings you prefer. (My go-to seasonings is Herbs de Provence. The original recipe calls for thyme and (I think) Italian seasonings work just as well.) 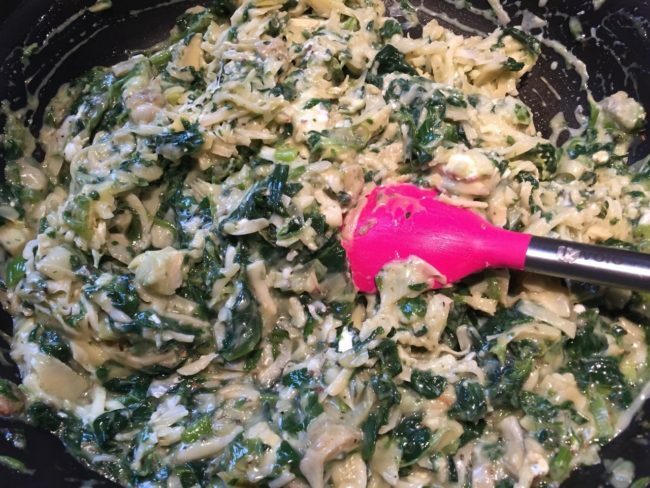 Combine the onion mixture with remaining ingredients in the pan away from heat and pour into a 2-quart casserole dish. Cover and set overnight. Bring mixture to room temperature. Preheat oven to 350. Bake dip 20-30 minutes until the cheese bubbles. 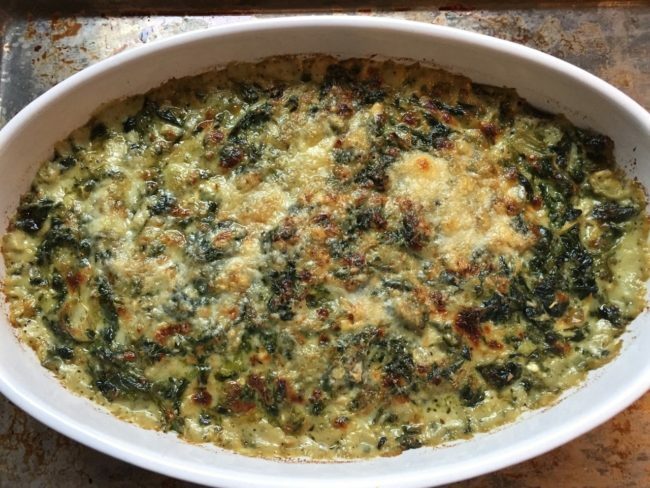 If desired, sprinkle with Parmesan cheese and broil until golden brown and crunchy (about 4 minutes at the end of baking). Serve warm with tortilla chips and watch it disappear.